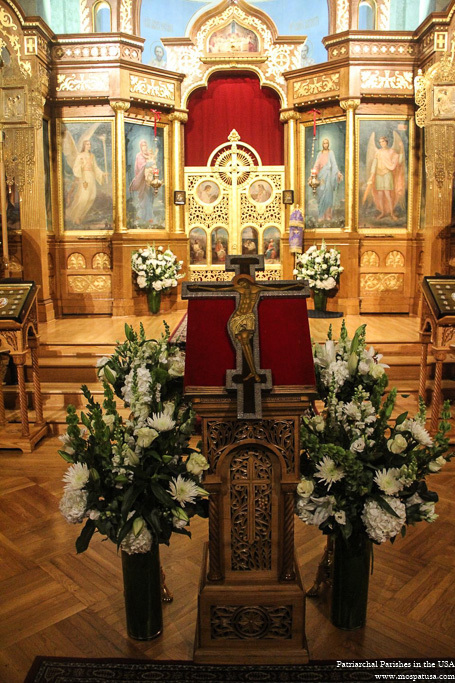 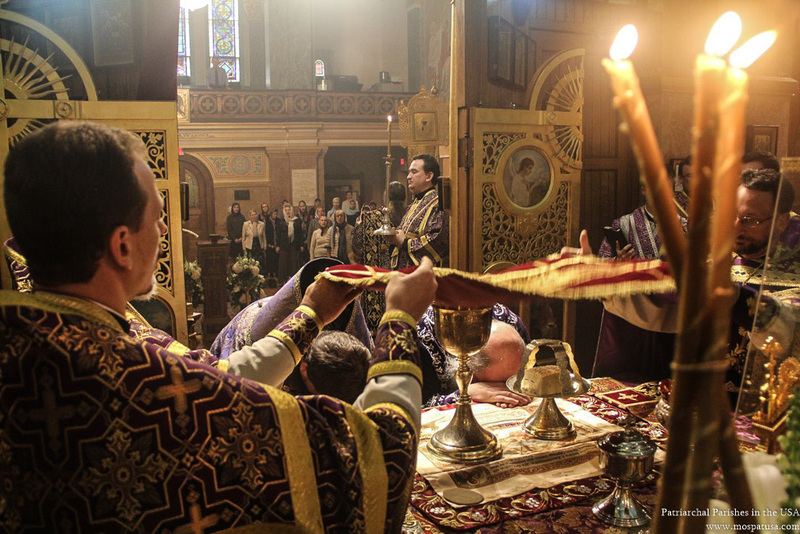 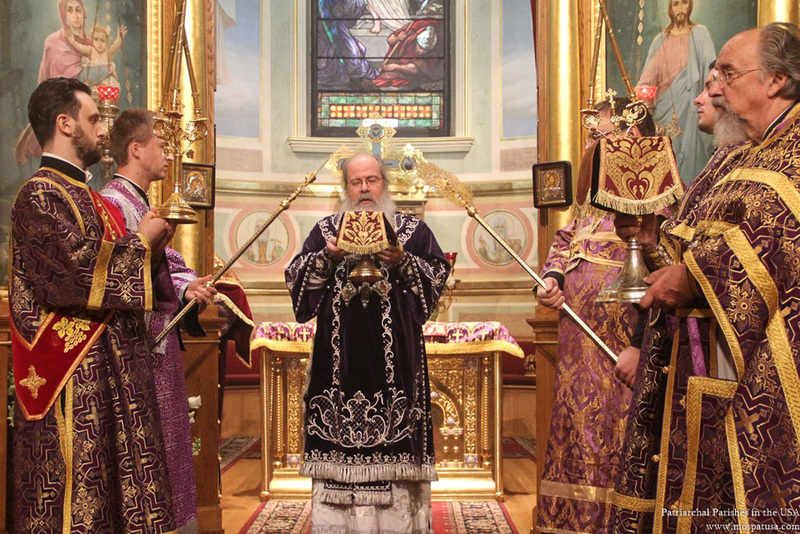 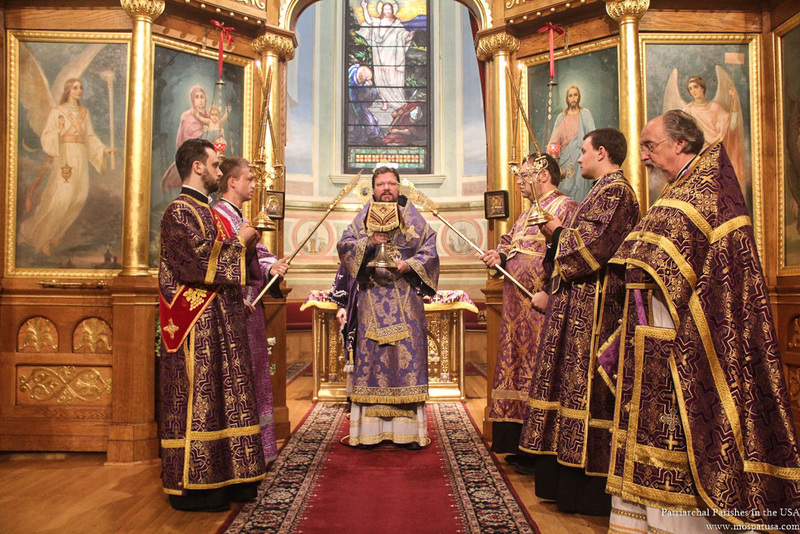 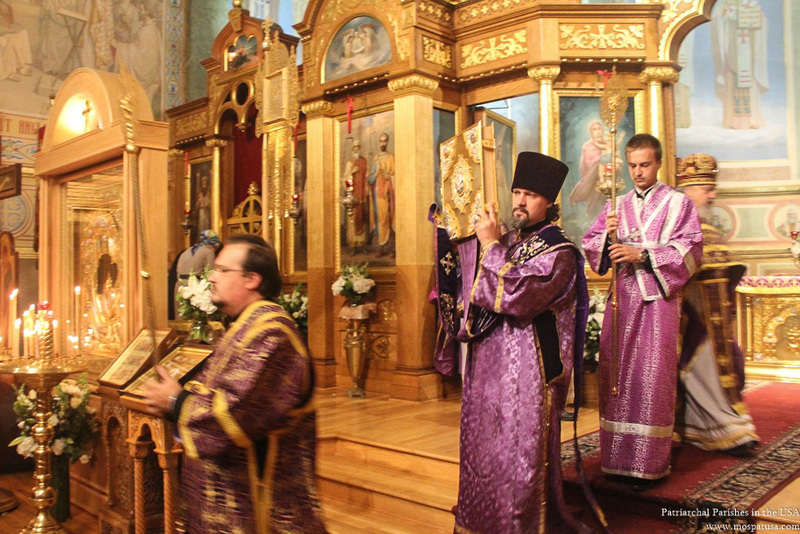 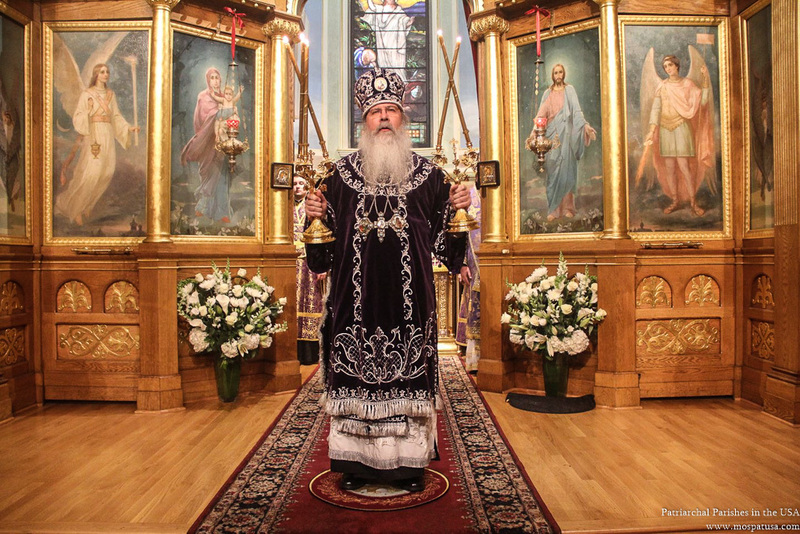 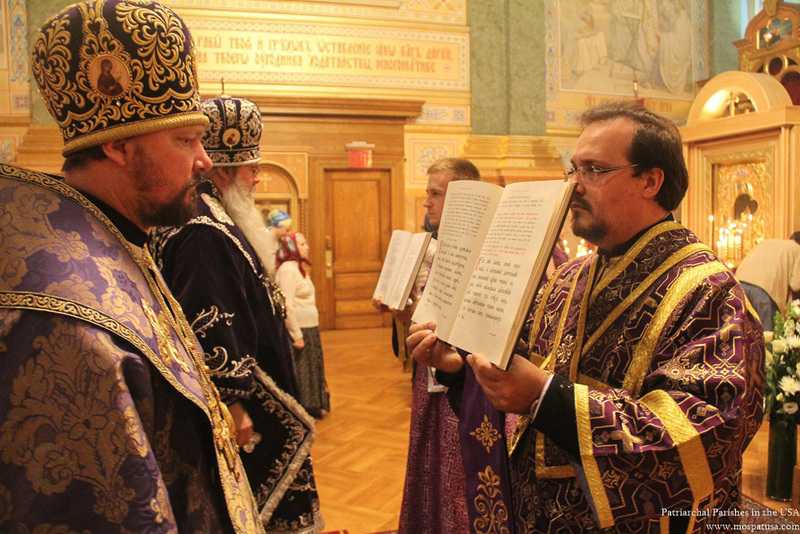 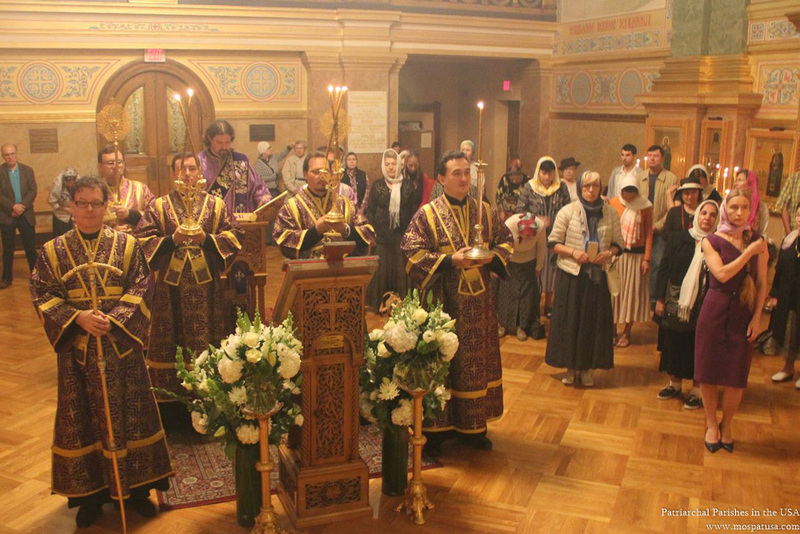 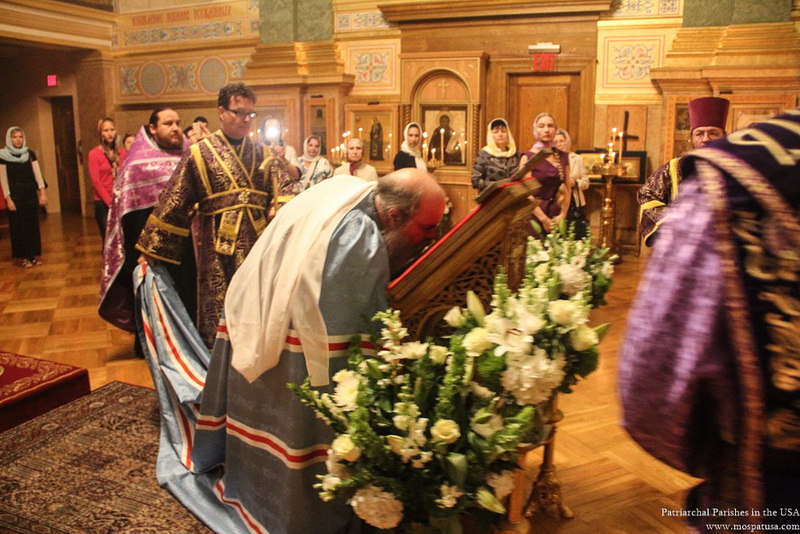 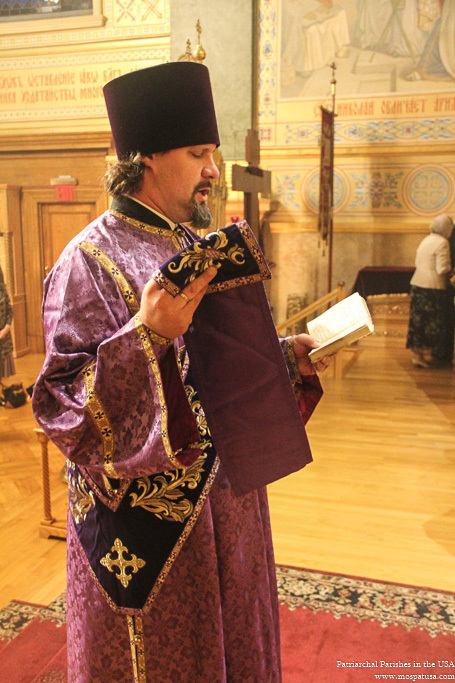 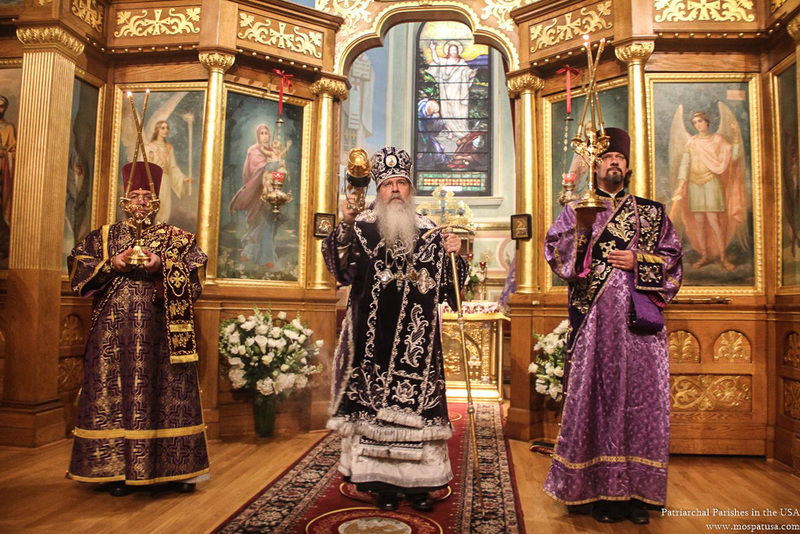 On Tuesday, September 27, the feast of the Universal Exaltation of the Holy and Life-Giving Cross, the Primate of the Orthodox Church in America, His Beatitude Tikhon, Metropolitan of all America and Canada presided at the Divine Liturgy in St. Nicholas Cathedral in New York City. 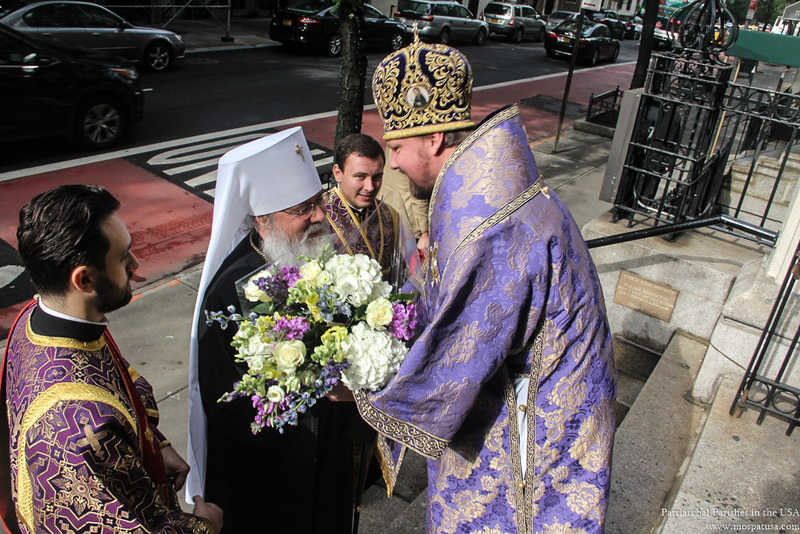 The Administrator of the Patriarchal Parishes in the USA, His Grace Bishop John of Naro-Fominsk greeted Metropolitan Tikhon at the doors of the cathedral before the start of the Divine Liturgy. 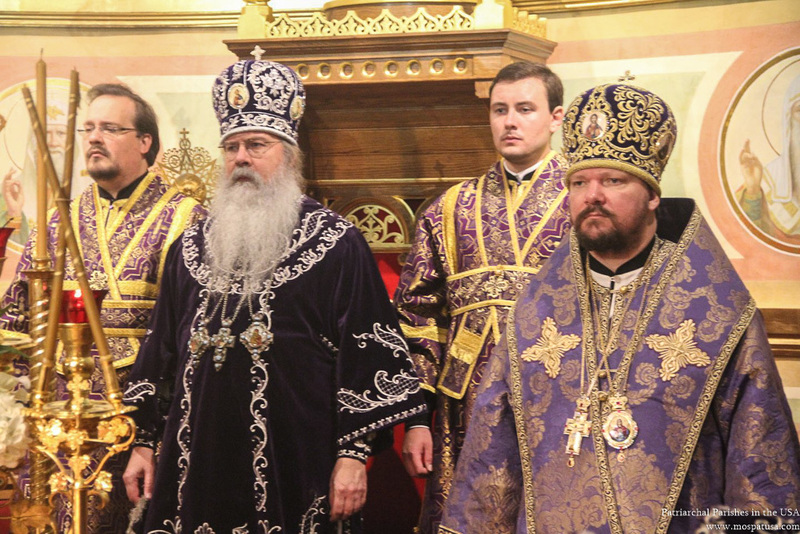 Concelebrating with the hierarchs in addition to clergy of St. Nicholas Cathedral was Archpriest Eric Tosi, Secretary of the Orthodox Church in America and Archdeacon Joseph Matusiak. 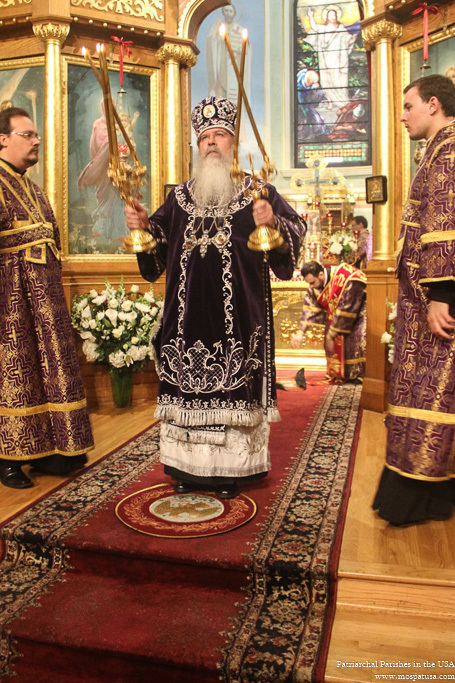 Praying in the church was the Chancellor of the OCA, Archpriest John Jillions. 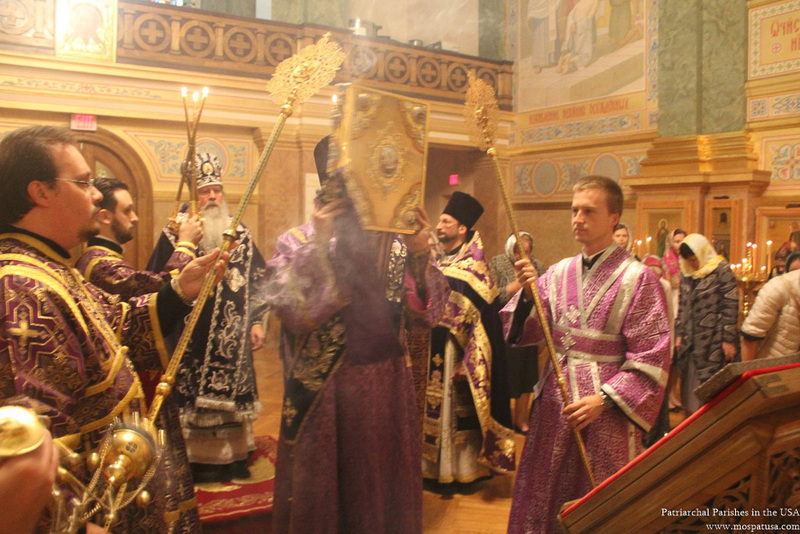 After Holy Communion, the clergy proceeded to venerate the Holy Cross placed in the center of the cathedral. 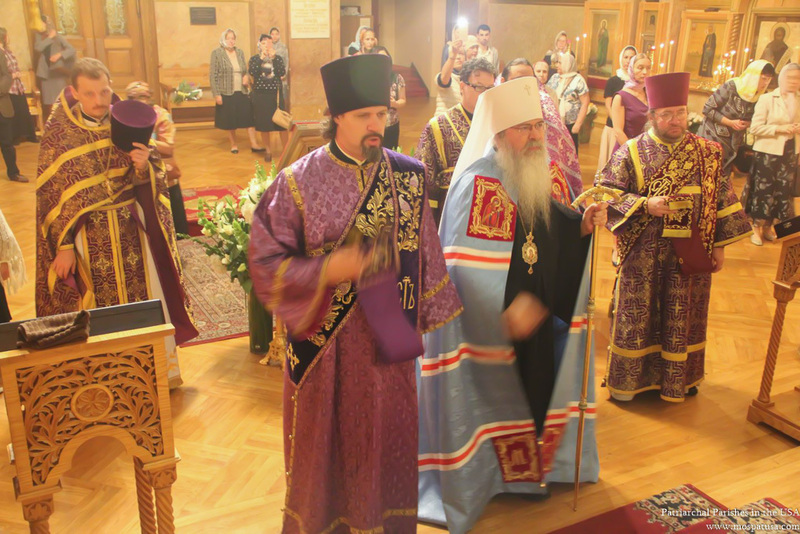 In prayerful remembrance of his visit to the cathedral, Bishop John presented Metropolitan Tikhon with a panagia. 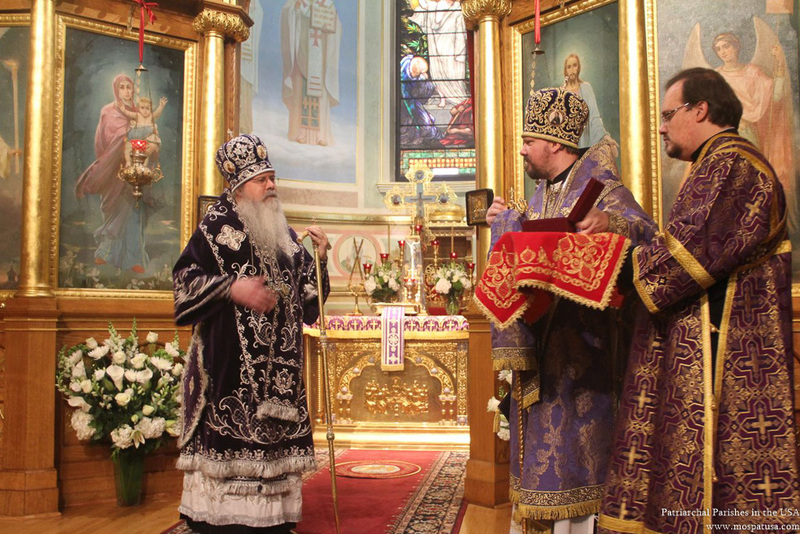 In turn, Metropolitan Tikhon thanked Bishop John for the invitation to concelebrate the Divine Liturgy and presented him with Holy Icons of St. Herman of Alaska and Great-Martyr Catherine - the heavenly protectress of the OCA's metochion in Moscow. 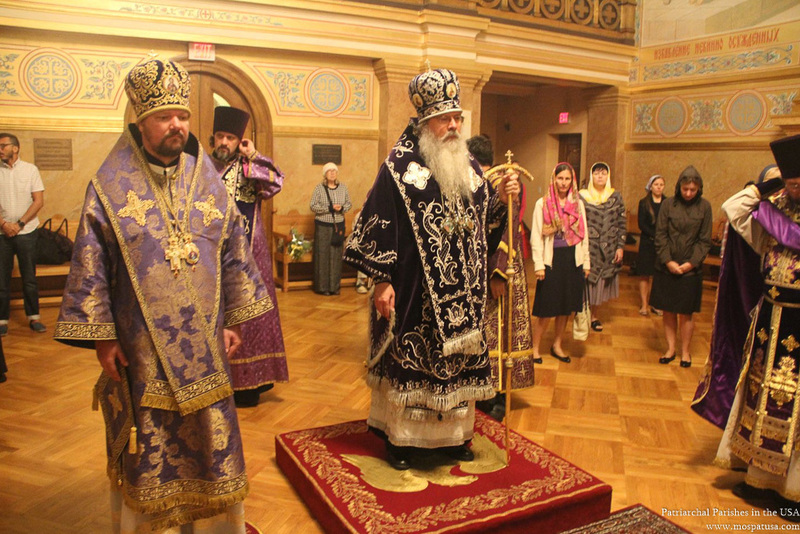 Interaction between the hierarchs and faithful continued in the cathedral's refectory where joint projects between the Orthodox Church in America and the Patriarchal Parishes was discussed.